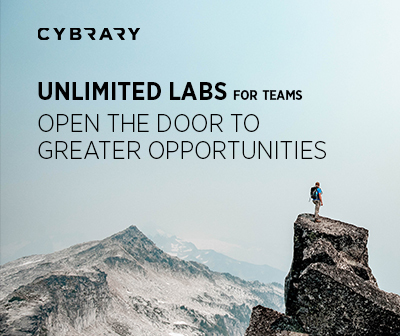 What Does Cybrary Have to Offer? Free On-Demand Courses. Virtual Labs. Practice Exams. Mentorship. Community. Cybrary has courses for all aspects of IT and cyber security. Here you’ll find some of our most popular courses and some of our newest. If you can’t find it on this list, below, you could search our entire catalog– you’re sure to find it there! Where Should You Begin to Learn Cybersecurity? This depends upon where you’d like your career to go. Check out some cybersecurity job profiles and learn all your options. Technology has made taking IT and cyber security courses simple – and Cybrary made it free. You can jumpstart your career by taking cyber security courses online, at your own pace, and at no cost to you. Choose from courses of all skill levels from computer novice to more advanced and specialized subjects. One of the most important aspects of starting a cyber security course is knowing which one you should begin with. Consider your ultimate goal, where you would like your IT career to take you, and your current skill level. There are various courses that teach the fundamentals you will need as you narrow down your career path. Getting cyber security training can involve a long enrollment process at a tech school or college, costly tuition and books, and a significant time commitment. Or, it can involve a quick login, free resources at your fingertips, and a self-paced format that you can work around your other responsibilities. If you want the latter (and who wouldn’t? ), get your cyber security training online with Cybrary. Cybrary’s courses are always free, taught by industry professionals who are knowledgeable in their fields and are excited to share their experience with Cybrary students. Whether you are currently working in the IT industry and want to advance your career, or you are just getting started and need to learn the basics, Cybrary has the right courses for you. There are numerous reasons that cyber security training is important. Most importantly, the world today is inundated with technology. It’s visible in nearly every area of modern life – from workplaces, to homes, to cars, and even phones. While this makes many aspects of life easier, faster, and more convenient, it also opens the door to cybercrime. The technological vulnerabilities encountered every day make people – personally and professionally – exploitable targets for cyber-criminals. The need for professionals who combat these cyber-criminals increases just as quickly as technology advances – perhaps even faster. Cybercrime includes everything from hacking and identity theft to information security breaches and so much more. With the proper training, cyber security professionals can be positioned to protect organizations’ data as well as keeping the public personally safer. To be one of those professionals, Cybrary offers an extensive library of cyber security training courses so anyone can get the most current course content from instructors – who are leaders in their fields – to become one of technology’s good guys. What is the Best Cyber Security Training? The best cyber security training is specific to each individual, their IT knowledge, career goals, and professional interests. At Cybrary, it’s easy to find many training courses that will benefit your particular needs, whether you are a computer novice just setting out to start a career in cyber security, or a current IT professional looking to advance your career. Beginners in need of the basics should steer toward either the CompTIA A+ or CompTIA Network+ training course. For intermediate level persons with some technological knowledge, Ethical Hacking or Penetration Testing courses may be a good choice. Whatever path you’re on, Cybrary has a training course that will help you continue to advance. How Much Does Cyber Security Training Cost? The amount you pay for cyber security training can vary widely depending on the institution where you are taking courses and which courses you are taking. Historically, cyber security courses have been some of the most expensive courses out there. That greatly limited the ability of many people to participate in the training they would like to, which ultimately prevented people from pursuing the career they dreamed of having. Fortunately, Cybrary has put an end to that obstacle! Cybrary’s cyber security training courses are all free of charge, making it easier for anyone at any skill level to get the training they want and need to have a successful and fulfilling career. Who Can Take Cyber Security Courses? Anyone can take cyber security training courses at Cybrary! Our extensive selection of cyber security courses is ideal for any individual interested in learning more about cyber security, preparing for various IT certifications, or gaining advanced knowledge and skills to enhance an existing career. The best part is that all of Cybrary’s training courses are offered for free. Users are able to sign up for courses, participate at their own pace, gain useful skills and knowledge, share information and interact with other members via the online forum, and earn Certificates of Completion – all for free! 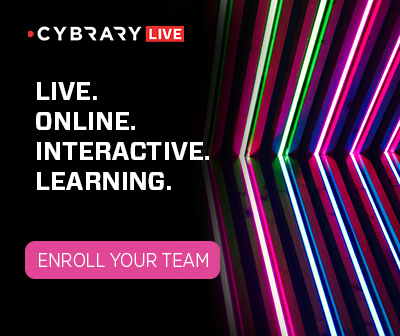 Going beyond traditional online learning, Cybrary offers Virtual Labs, Practice Exams, Live Online Courses, Mentorship Opportunities, Business Teams, and much more.